There was a time when good furniture meant door, sheet, and cabinets made of segun or teak. Over the last decade or so, though, things have changed. Wood is no longer the only material for furniture. In Bangladesh wood is used for firewood and some village houses, but the lion share of it, approximately 80%, is consumed by the door&sheet industry. So it is important to find a substitute for wood for making furniture. This concern for the rapidly vanishing timber prompted a number of western countries into undertaking research and Partex and plywood are the results of those drives. The Bangladesh Door&Sheet Industry is one of the most promising growth sectors with export potential. According to the household income and expenditure survey of 2010, the domestic consumption growth rate is around 20%. This report determines two factors of MMIL. The findings of this report would be useful to the company’s dealer control section to improve their service quality. The main objective of the study is to find out the Dealers’ Perception towards Mustafa Metal Industries Limited. To know the working period of dealers and their perception about different types of product and services offered to the customers. To identify the factors responsible to choose Mustafa PVC doors. To identify the problems related with Dealers’ Perception of Mustafa Metal Industries and necessary suggestion. In this report descriptive research is used. In telephone interviewing method has been used to conduct this report. All the marketing information comes from both internal and external sources. Conducting different survey like observation method. From different employees in Mustafa industries I took interview. Face to face communication .I asked different question about their company. Asked different dealers by telephone interviewing. Sales reports and reports of departments like customer’s relation, meeting minutes. Dealers and outlets owners or top management employees who are listed with the Mustafa PVC records. The study has been conducted by using a non-probability convenience sampling method. A total sample size 20 responded was taken and the study is based on the findings from this sample size. This questionnaire surveyed in different parts of country such as- 4 from Dhaka, 02 from Chittagong, 03 from Rajshahi and, 02 from Barisal. The Internship Report is a comprehensive study of the Dealear perception’s belief about the Mustafa Metal Industries Ltd. The report focuses on the Consumer’s belief, perception, lifestyle etc. and the current and appropriate Dealer perception towards Mustafa Metal Industries Ltd.
Not sufficient information related to the report from the company. Company policy about the secrecy of the organization. Difficult to take information from the respondents. Owing to time constraints it was not possible to survey all outlets. Background of the MUSTAFA METAL INDUSTRY. With an average annual growth of 8% MUSTAFA GROUP is at present one of the leading assemblage of companies in Bangladesh. Bonded with a staggering number of seventeenth alive business units MUSTAFA GROUP stands as a living example of successful vertical integration. In addition to this, the group is growing at a steady rate. MUSTAFA GROUP, which owns and successfully operates more than 17 manufacturing and trading concern. A massive setup of five modern factories the group could successfully venture into the lifestyle of the people of this country. Today, Practically dominates the consumer market for the products of its range. With the greater quest for the national emancipation and benefit for economic welfare for the country the group still envisages a vision and principle in its activities. MUSTAFA PVC doors & sheets Industries Ltd.
MUSTAFA Metal Industries Limited is a relatively latest wing of the conglomerate Mustafa group. PVC doors & sheets Industries Ltd. is the sixteen overture of the ever- expanding MUSTAFA GROUP that is growing at the rate of 7% each year. The total number of dealer and agent outlets in Bangladesh is over 80 and showroom is 6. 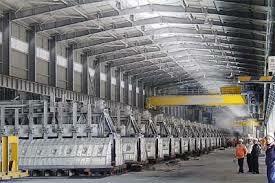 Mustafa metal Industries Ltd. is located in , Rajbare. It is a135 (One hundred thirty five) Bighas / 100 acre (approximate) land of industrial unit. Star Particle Board Mills Ltd. is also located in the same vicinity. A combination of special particleboard, timber and decorative plywood offers the best quality and cost effective substitute for natural timber. This results in custom-made, innovative and stylish doors & sheet. Mustafa metal produces a wide range of products that maximized the use of timber substitute. Within a short span of time, the company has able to capture a significant percentage of the total market share. In the future, Mustafa metal hopes to broaden the horizon of product to meet the ever growing demand of furniture for the house, office and school. We are the leading furniture solution provider in Bangladesh achieving our business vision through growth in market reach, increasing operation size, international distribution, total service and consistent branding activities by the being most customers focused and Innovative, cost effective and efficient, environmentally responsible & quality concerned company in the business. To be the most consumer focused, competitive, efficient, innovative and environmentally responsible and quality concerned leading market oriented furniture manufacturer, sales and distributor of Bangladesh. Mustafa metal Industries main objective is to provide innovative, stylish and quality doors & sheets to the customer. Has developed a number of products to suit different individual and company needs. Mustafa PVC doors & sheets is one of the standard quality furniture companies. For their quality products they are becoming more varieties design doors & sheets company name in customer mind. The PVC doors industry in Bangladesh has undergone changes in different ways, developments; particularly in year 2011 are as follows. Ø There has been major development of multinational or national company sector. Ø With the increase in number of PVC doors & sheets users the demand has increased. Competition has increased, providing the customer with more service. Ø There has been major development in PVC doors & sheets sector worldwide and Bangladesh is catching on. Beside these employees, Mustafa industries has a Sales team working in the field across the whole country. Regional sales manager are controlling these sales forces. They work at the retail outlet and corporate customer. To build good relation with customers, to make good report with them, to acknowledge them about the Mustafa PVC doors & sheets and their service to acknowledge its advantages, features activities etc. Help customer to inform about the product, price, quality etc. Inform the customer to contact sales department if any problem they have faced. Sales and Marketing department activities are converted into two types of activities. They are Market Research and development and Market Communication. The functions of marketing department are manifold. However the main function can be articulated as to develop product and promote concept building for promotional activities. It includes advertisement in the leading dailies and carryout promotional activities in the most effective manner within a given budget, to arrange outdoor advertisement, hoarding, promotion of gift items like dairy, calendar etc. Market research and development is a vital part of Doors & sheets in terms of its importance and role. This department facilitates communication between the different departments about existing and new products of Mustafa PVC doors & sheets. MRD also evaluate the possibilities and develop new product. MRD get feedback from sales, customer care and market communication departments regarding customer needs and market requirements. Feedback helps in redefining an existing product. New ideas are developed after evaluation of market demand. MRD department supports various departments in performing their job. After the market survey, for an example, they can suggest sales department about the possible no. of customer need of a particular area and the potential of introducing service to that area. Mustafa PVC doors & sheets objective is to improve people live by giving them the world-class style and elegance of their home a, keeping in this mind Mustafa pvc doors introduced its service at an affordable price for everyone. Mustafa PVC doors & sheets is committed to build on its already strong brand equity, and the company has already achieved a high level of recognition after only few years in the market. Branding is very important in a developing country like Bangladesh. Integrity, commitment to the community, quality, professionalism, innovative and stylish furniture, conscious about environment and eco friendly, and characteristics which are all reflected in the company’s advertising, point of the sales displays, and customer service. Mustafa PVC doors & sheets is also committed to acting honestly in its dealing with the customers, distribution partners, suppliers, and government institution and other multinational company. It has also been visible through other community activities such as a sponsorship of the game tournament. Mustafa industries uses frequent campaigns to drive subscriber growth. The campaigns are based on promotional pricing. Ø The offer generally includes discounted doors & sheets with the service and features. Ø During the campaigns, Mustafa metal runs heavy outdoor advertising and inserts in major newspaper. Ø The largest campaigns are run in conjunction with major holidays such as during Eid, Bangla/English New Year, to encourage high volume sale when people are in buying mood. SWOT Analysis as an important tool for evaluating the company’s strength, weakness, opportunities and threats. It helps the organization to identify how to evaluate its performance and identify ways to minimize the affect of weakness in my business while maximizing my strength. Above those cares are only serves by Mustafa mtal industries. This is the major opportunity for them to satisfy the people and to make more production. PVC doors & sheets industries are increasing day by day. In terms of Bangladesh some renowned brand company starts to dominate accounting for over increasing percent of the market, although non brand owners are growing their share due to a combination of labor intensive country. In term of distribution, furniture independents/specialists dominate with 35%, followed by multiples, departments/variety stores, mail order or others. Some leading furniture company’s name: Partex furniture Industries Ltd., Navana Furniture, Hatil, Otobi, Akhter, Brothers, Noksha, Legacy etc. Hatil Complex Ltd.(1989) Is a leading doors and furniture manufacturer in Bangladesh. Hatil has been established in 1989 following the footsteps of H.A. Timber Industries Ltd. – company running from 1966 in timber processing sector. There vision is achieving excellence through quality of products and customer service by adding comfort, functionality, durability and innovative design to lifestyle. Otobi (1975) started off with office furniture but now has a full range of furniture for the home. While its designs set Otobi apart, the quality of its products is also very high. Very soon Otobi made it to the international market, something few could actually imagine before Otobi actually did it. Significantly Otobi’s spectacular achievement triggered a whole new generation of entrepreneurs. It has been established in 1975. Otobi is one of the familiar furniture companies in Bangladesh and it has the share 34%. Mustafa has 12%, Navana 22% and others are 15% market share. Above these all companies have their own showroom and dealer’s showroom. These dealers are the representative of all companies and are important part to increase those companies profit. Individual or firm that buys goods from a producer or distributor for wholesale and/ or retail reselling. Unlike a distributor, a dealer is a principal and not an agent. Perception is defined as the process by which an individual selects, organize and interprets stimuli into a meaning full and coherent picture of the world. Sensationis a immediate and direct response of the sensory organs to stimuli. Examples of stimuli include products, brand names, advertisement and commercials. The lowest level at which and individual can experience a sensation is called the absolute thershold. The different thershold The minimal difference that can be decteted between two similar stimuli is called the different thershold. This questionnaire surveyed in many cities of country such as- Dhaka (11), Chittagong (02), Rajshahi (05), Barishal (02). It shows that, 1 (5%) respondents/Dealers activities period 1-12 months, 6 (30%) dealers are between 1-3 years, 8 (40%) dealers are between 3-6 years, and 5 (25%) dealers are more than 6 years. So, it has shown that most of the respondents are continuing their activities with Mustafa pvc doors&sheets between 2 to 3 years. It shows that, most of the respondents are12 (60%) and said that they are properly evaluated by company and 8 (40%) dealers are neutral. It shows that, 12 (60%) dealers think that company need to offer more variety of products and 8 (40%) respondents are neutral. It shows that, 13 (65%) dealers’ thinks that company has to provide them after sales service and 7 (35%) dealers are neutral. It shows that, 8 (40%) dealers’ thinks that they will work with company in future and 12 (60%) thinks that they are not sure about their activities with company. The availability of product: It is in satisfaction level because it scored more than 3 (4.00). Delivery of product: It scored 2.85 which is less than 3.0. It means that delivery of a product on required time is notsatisfactory. Perception about quality: It scored 3.35, which means that the perception about quality of products is positive that they are satisfied. Design: Perception about the product design is positive because it scored 3.15 that they are quietly satisfied. Price: Perception about the price of products is quite positive because it scored 3.20. This shows positive. Commission: It shows that the respondents are mostly satisfied about the commission because it scored 4.40 which determine the positive side. Promotional campaign: It scored 4.75, which shows that most of the respondents are satisfied about the promotional campaign. Quantity of sales: Quantity of sales of product is in satisfactory level. It scored 3.85. Brand name: This sector is in satisfactory level because dealers have no complain about brand name of this industry and they are mostly satisfied (it scored 4.75). After sales service: This sector scored 2.40, which is less than score 3 and it shows that they are not satisfied about after sales service of Mustafa metal Industries Limited (PFIL). Response against any problem from company: If they faced any problem company helps them positively and they are satisfied with the company’s response because it scored 4.50. The procedure to be a Dealer: Respondents are quite satisfied about the procedure to be a dealer; it scored 3.10 which is more than the average mean score 3.0. According to discussion, delivery of a product on required time and after sales service, these two sectors scored less than 3.0, which show that company needs to recover on these sectors to satisfy dealers. But promotional campaign and brand name of a company makes dealers highly satisfied, because it scored 4.75 which are more than 3.0. 1. Dealers’ do not pay money in just time to the Mustafa Metal Industries ltd in this reason company should not pay employee bills in just time. 2. Dealers’ do not collect their ordering product in just time in this reason company pay extra warehouse bills. 3. Sometimes Dealers’ collect same product from the other company by low price in this reason company do not sell this product in just time. 4. Dealers’ pay the insufficient check to the Mustafa Metal Industries in this reason company is going some economical crisis. 5. Dealers’ do not want to collect their product companies own transportation in this reason company transportation sector bear loss. 6. Dealers’ do not collect their ordering item when market is down in this reason company do not produce a new product available. 7. Sometimes dealers’ return the fault product in this reason companies goodwill may be damage. 8. Dealers’ do not collect their ordering product when company do not maintain product quality in this reason company should bearing loss. 9. Sometimes Dealers’ do not collect the product when company do not maintain labor law in this reason company buyer searching another company their maintain international labor law. 10. Sometimes Dealers’ do not maintain their all agreement with the MMIL in this reason company faced some problem. Dealers’ should pay money in just time to the companies in this reason company pay salary in just time to their labor. Dealers’ should collect their ordering product in just time in this reason decrease companies extra warehouse bills. Dealers’ should collect their ordering product when the same product is available in any where. Dealers’ should pay the sufficient honorable check to the company in this reason company easily withdraw cash from the bank. Dealers’ should collect their product by the companies preconditioning transportation. Dealers’ should collect their ordering product when market is down in this reason companies have a chance to produce new product. Company should collect their fault product from the dealer in this reason increase companies goodwill. Company should maintain their product quality in this reason buyer easily attract to collect in this companies products. Company should maintain international labor law in this reason foreign buyer easily invest in this companies. 10. Company should arrange some training for self-preservation in this reason increase employees skills and they know how to create safety. Mustafa Metal Industries Limited, is a still growing company, in spite of all the success it has achieved so far. It holds a high position in the doors&sheets industry. Competition is always on the lookout for new ideas, interior and exterior design. In order to maintain its high position in the market, it is imperative that Mustafa pvc doors&sheets focus on the people who matter most to the company. Now the various dealers, distributors, outlets and agents are Mustafa industry representative to the people. It is the impression that individuals create, that will influence people’s impression of Mustafa pvc doors&sheets. It is thus highly important for Mustafa pvc doors to act favorably towards these individuals, give them as much as support and assistance as possible. Mustafa industry must make time to hear the feelings and views of these individuals. This research is only focused on the perception on the dealers’ perception towards Muatafa Metal Industries Limited. So further research can be conducted on the customers’ perception towards Mustafa Metal Industries Limited. Philip Kotler,Gray Armstrong. ( 11th Edition) Principle of Marketing.